PowPow, originally named Miley - but renamed when we had a daycare in our home years ago by one of the children, is our little rebel. Although she can be hardheaded at times, she is the biggest sweetheart you'll ever meet. She will be the first to protect her family but also the first to cuddle up in the lap of a complete stranger. 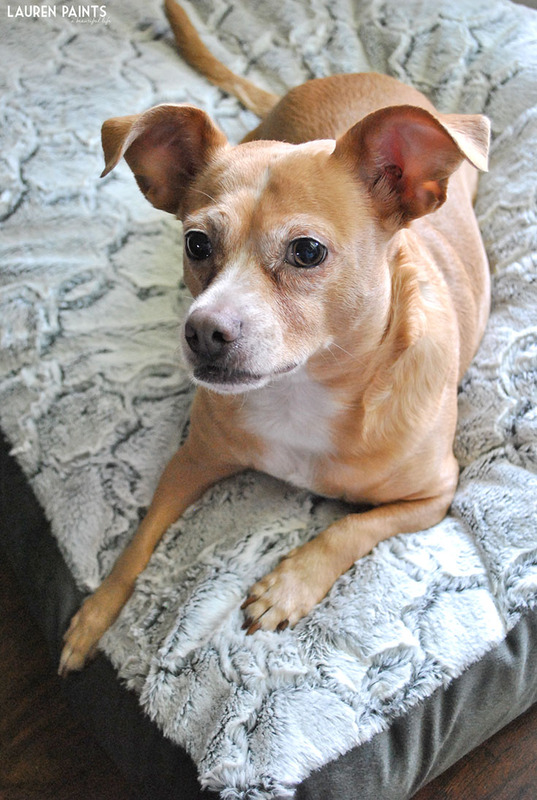 We really aren't sure what she is, other than an adorable dog... She's fast, she's funny, and she loves her family and we love hearing what breeds people think she may be. She was adopted at only a few months old from an animal shelter, where they told us she was found wondering along the highway. Her past is a mystery but her heart is full of love and loyalty. Gnarly, our little "talkative" troublemaker is always getting into something michevious but is as smart as a whip. He's a ham when he hears the words treat, walk, or bye-bye and we are pretty sure he's even figured out how to spell treat now. He knows every trick in the book and is eager to learn whenever we try to teach him something new. 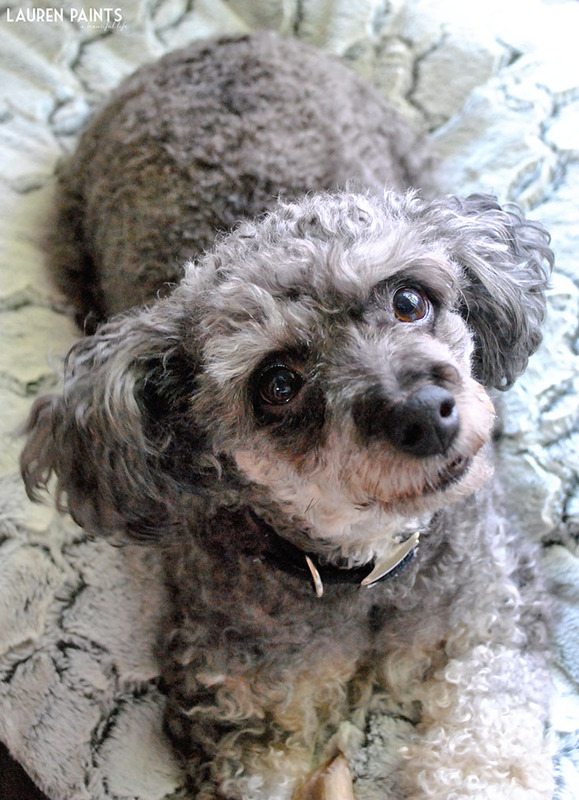 He was adopted when a lady on Craigslist said she had to give him up, we were told he was six months old and a toy poodle... Well, he must have been six weeks old because he was itty, bitty when we adopted him but has since ballooned into an adorable miniature poodle. He always has been a super loving little guy and although he can be a little too talkative at times, it's truly a blessing to have a dog that can pretty much tell you what he wants/needs. 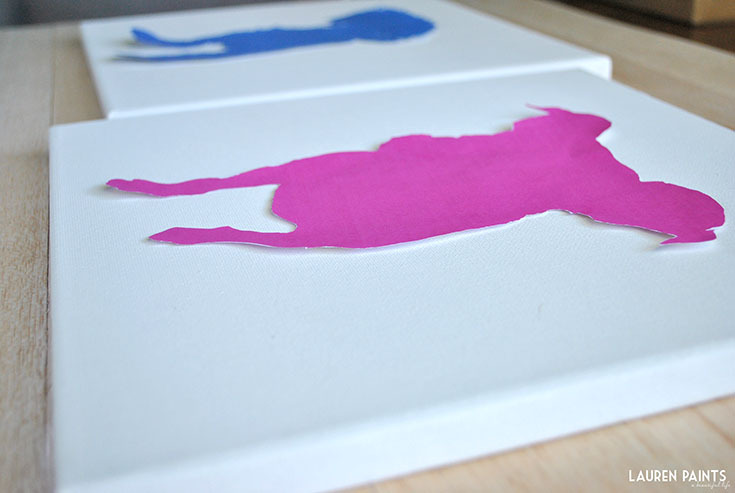 Silhouettes are a super easy and inexpensive way to capture their likeness without a whole bunch of technical work! 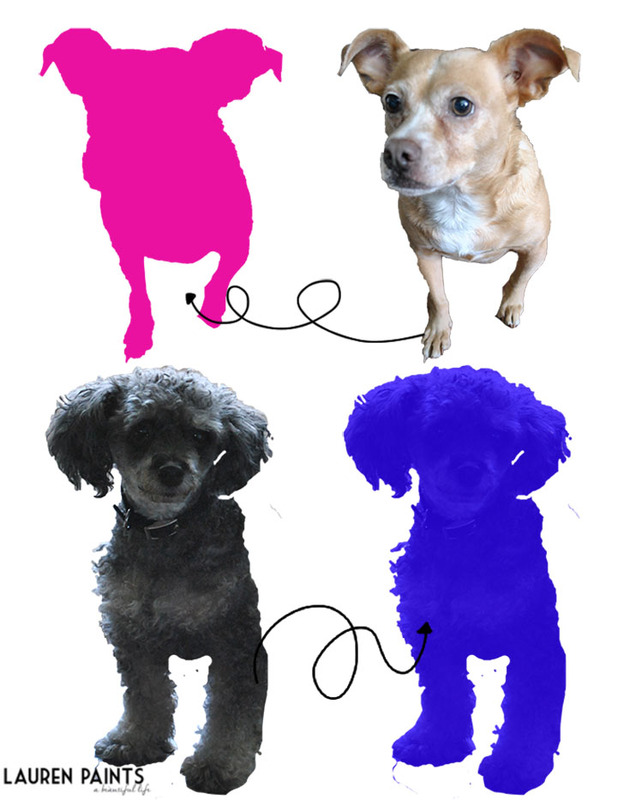 I decided to make a day of it, I created a doggie silhouette piece of pop art and then treated my fuzzy little helpers to a savory bowl of Purina® Pro Plan®, a new food full of nutritious ingredients! We had the best day ever and my picky little eaters gobbled this food right up! 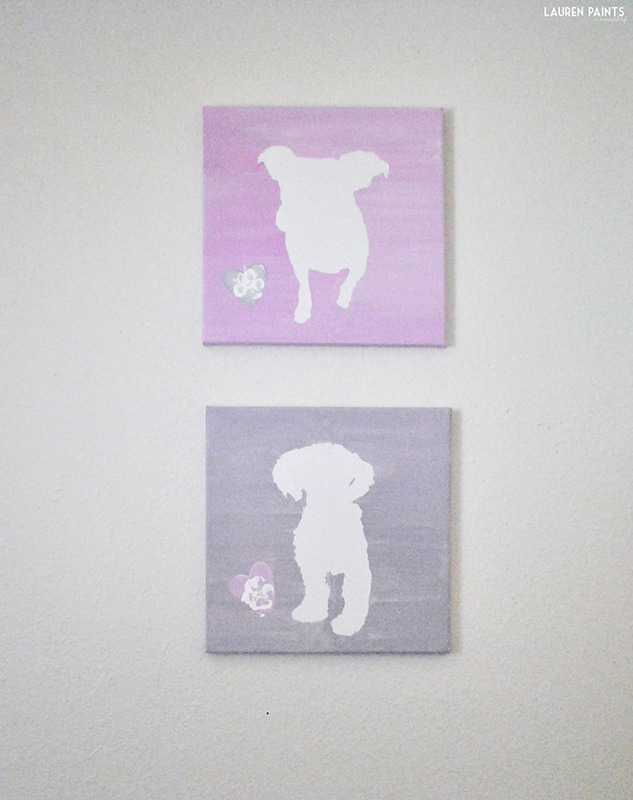 So I guess you could say I'm a pretty happy dog-mom right now, especially because the paintings turned out adorably! 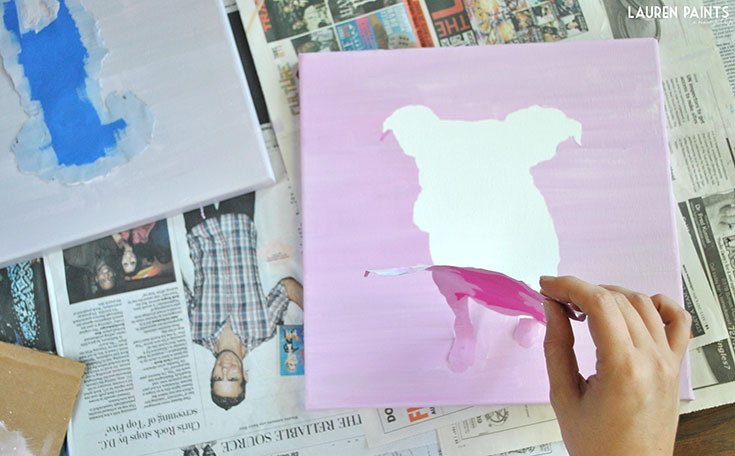 I just couldn't keep this fun DIY project to myself so today I'm sharing how I made these adorable one-of-a-kind doggie paintings. Take a photo of your dog at whatever angle you want to capture in your silhouette, a side angle is fun. Just get creative and try to imagine just the outline of your dog, so you have an idea of what your gorgeous piece of art will look like. After you have your photo, you'll want to begin by editing the picture of your furry friend. 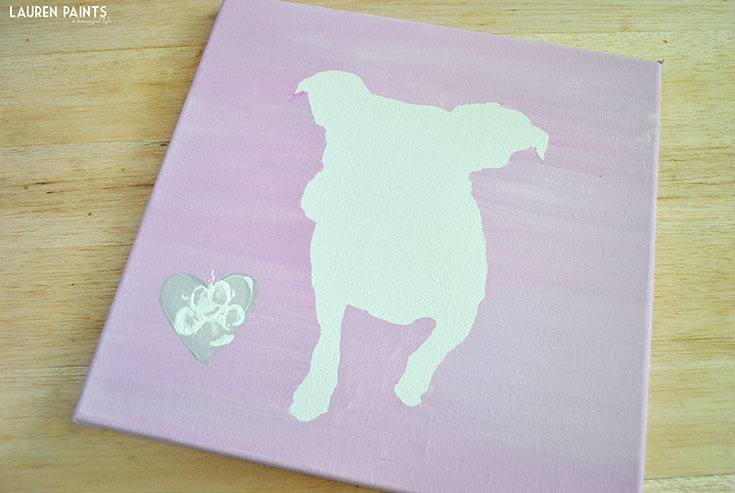 Make sure you change the image size to fit your dog's image perfectly on the canvas. I made my pictures 9 inches in height to fit on a 12x12 canvas. You can easily just use the original image of your dog and begin cutting out the image manually, at this point. But I wanted to use an actual silhouette to paint over. So I "cut" my dog from the original image using photoshop and made both pictures into silhouettes using blending effects,. 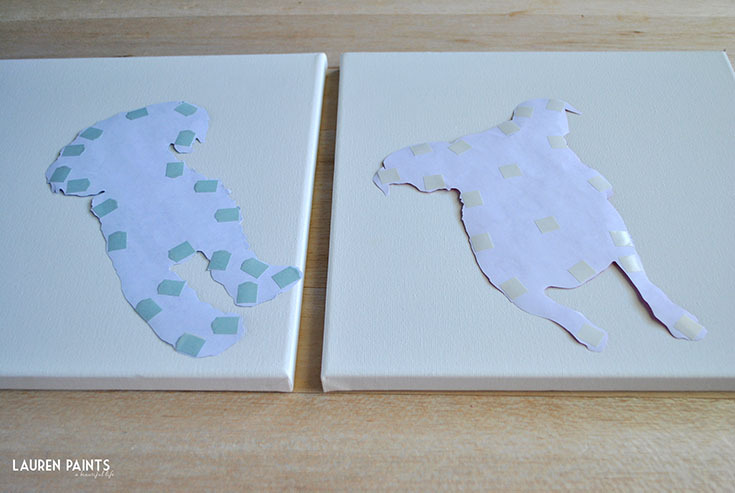 Print your photo of your dog, cut your dogs shape out from the paper, and now the real fun begins. You'll want to tape the image of your pup down to your canvas so that it doesn't move around while you are painting around it. Use enough tape (or scrapbooking stickers) to ensure that your photo is held down well. 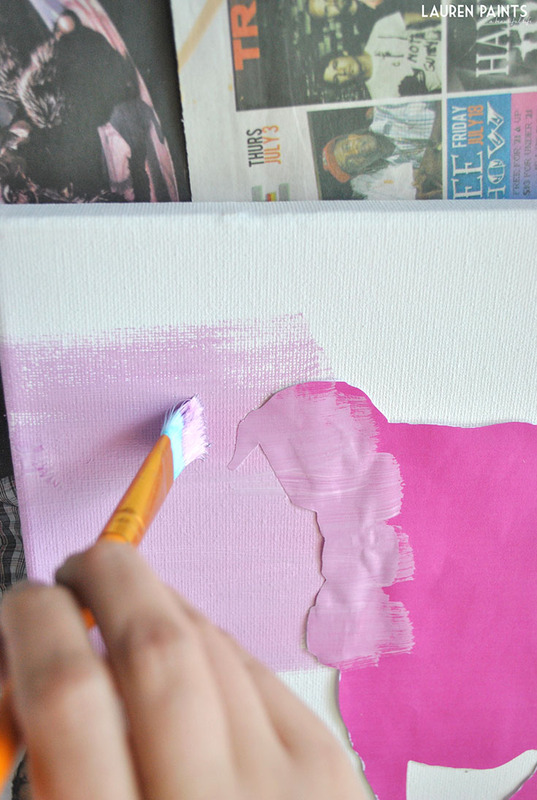 Once your image is taped down, choose a paint color and use a decently sized brush to paint around the silhouette. Paint with brush strokes that are only in a direction heading away from the silhouette, allowing the outer edges of the silhouette to really be in stark contrast with the white silhouette you are creating. After your paint has dried, remove the paper photo from the canvas and stand in awe while you admire your work. 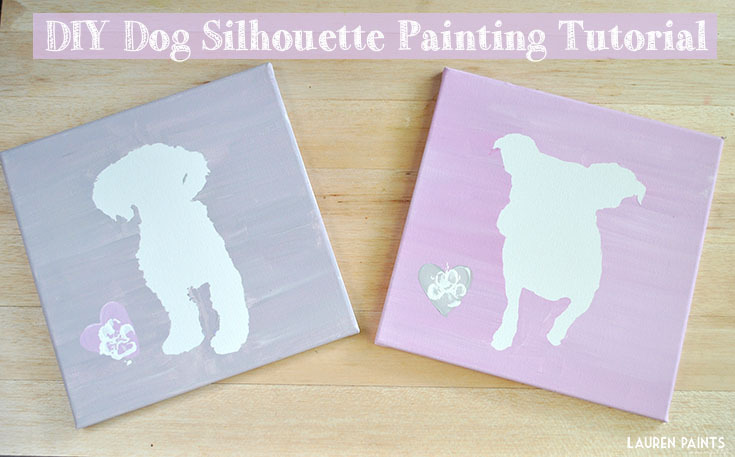 Add a little heart with a paint brush and call over your dog, it's their turn to get crafty! 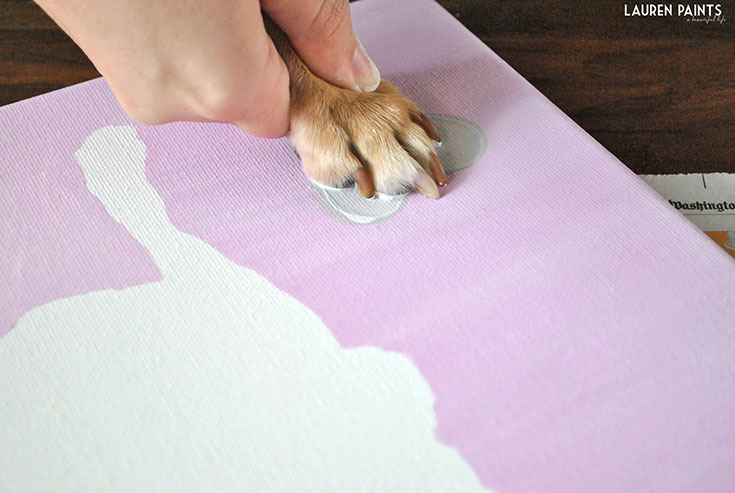 Dip your pups paw into a non-toxic, acrylic paint and then place the paw over the heart you painted. 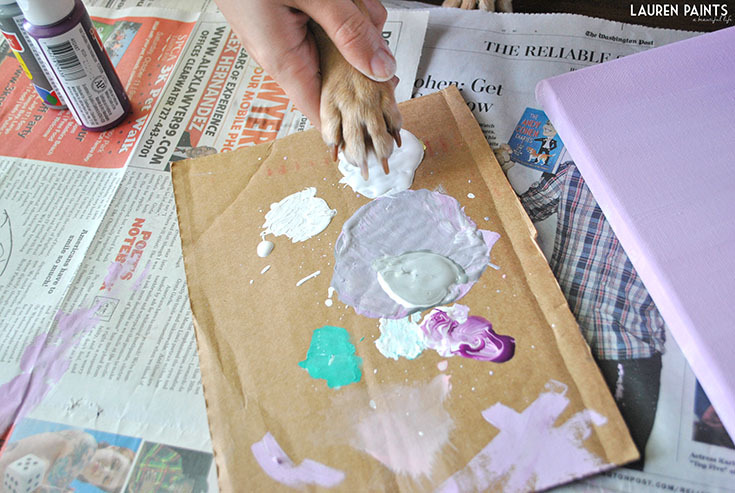 Remove additional paint on paws with a baby wipe or a wet paper towel! Ta-da! You have an adorable creation that you and your doggy made together, something you can cherish forever and a truly one-of-a-kind work of art. Now that you have a special piece of art, it's time to treat your dog to something tasty to thank them for helping you out! My pups and I took a trip to PetSmart and found everything we were looking for! 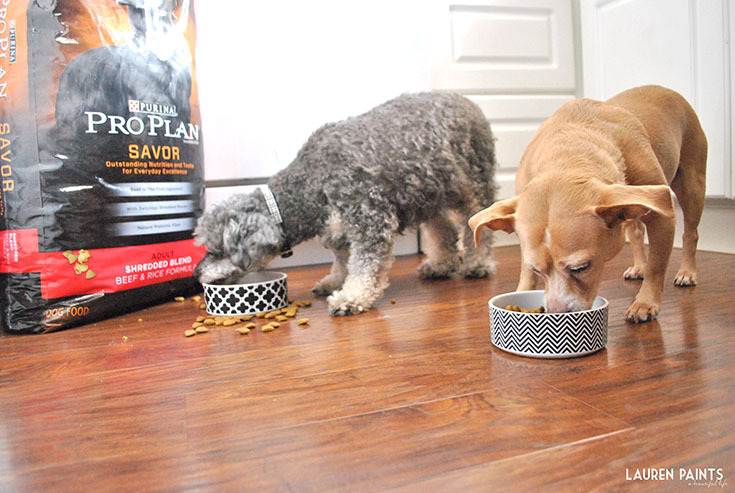 We found treats that make them smile from ear to ear, a new bone that'll be perfect for chewing when they need something to entertain themselves, and we even found a food that had everything I was looking for nutrition-wise while it still offers a taste they absolutely love! Our trip to PetSmart was a total WIN! 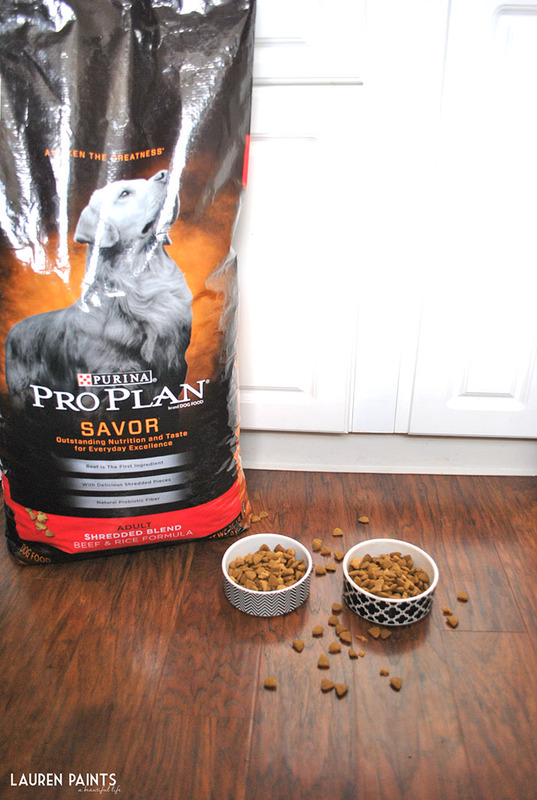 Purina® Pro Plan®'s goal is to give your dogs the nutrition they need to be their absolute best, while helping them to be energetic and resilient. They also provide them with the nutrients they need to maintain an ideal body condition, healthy skin, and a stunning coat - a dog's diet is so very important to their health & well-being. 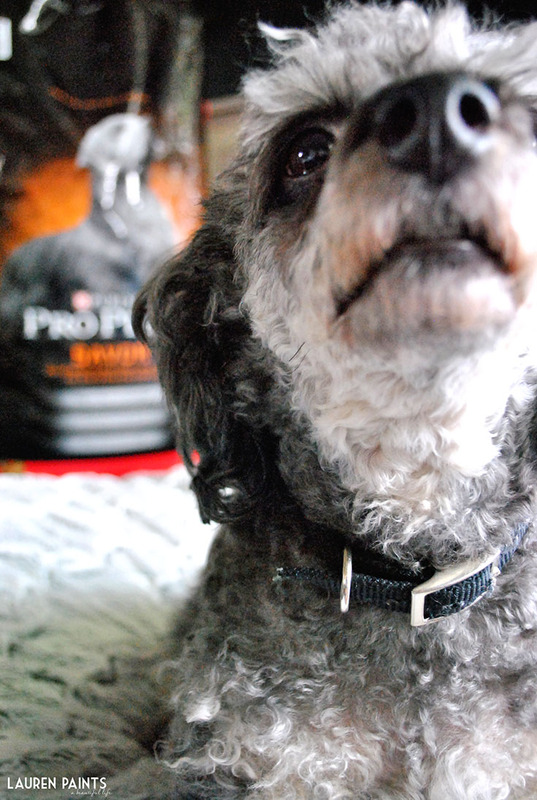 Purina® Pro Plan® is made with real chicken, beef, lamb, or salmon and that real meat is the #1 ingredient found in all their dry formulas, something that my poodle has been singing about since we picked up a bag! I love that all the ingredients are high quality and each and every ingredient is chosen for a specific purpose, no filler ingredients means that my dogs can live healthier and happier lives! 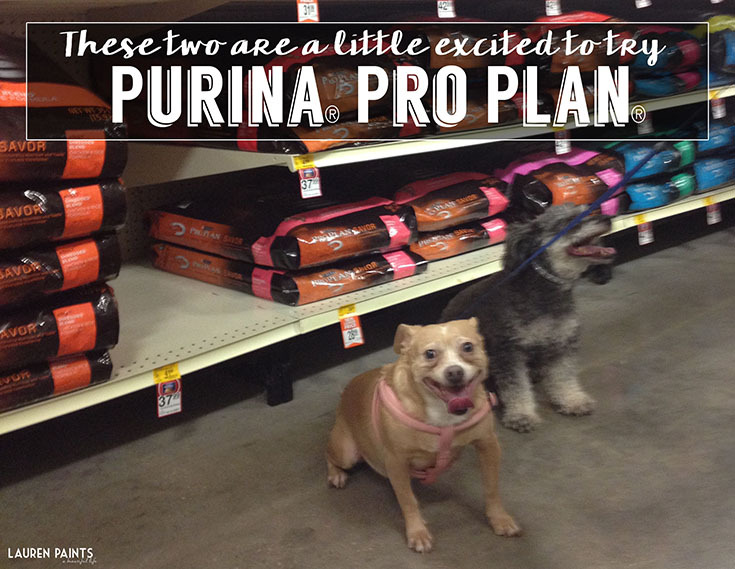 They want the best for every dog and since every single dog is different, Purina® Pro Plan® products can be found in five specialized platforms. Each one containing products formulated for a dog's taste preferences, age, dietary considerations, and activity level. Your dog deserves to have the food he's been day-dreaming about so don't forget to visit the Purina® Pro Plan® MyPLAN website to get your dog's MyPLAN recommendation and a rebate offer for a free bag of Purina® Pro Plan® Dry Dog Food (4-6lbs, up to $18.99.) This offer is only good in U.S.A. A.P.O's, F.P.O's. Void where taxed, prohibited, restricted. Allow 6-8 weeks for shipment. LIMIT ONE REQUEST PER INDIVIDUAL, ADDRESS, or EMAIL ADDRESS. Offer expires 04/30/2015. See full terms. Gnarly wants you to treat your pooch to something delicious today!